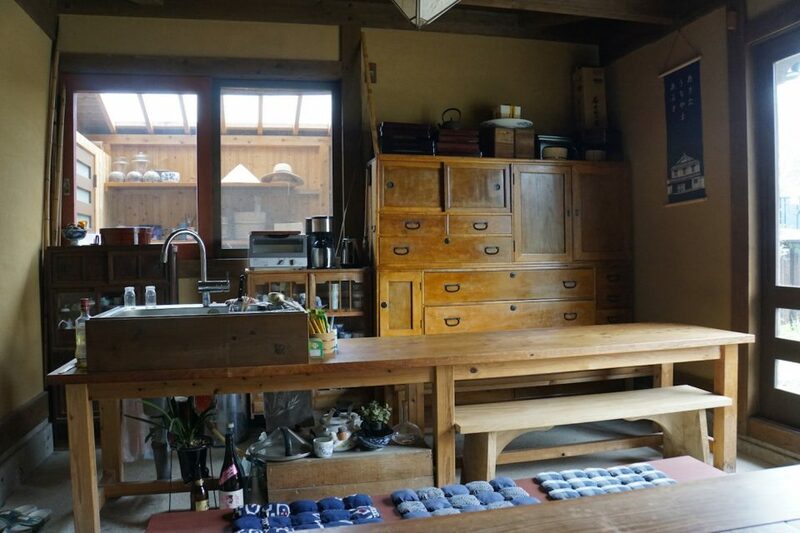 Husband and wife Japanese architects Hiroaki and Taeko Tanaka, built their atelier in the lush mountains of Kyushu. The building is designed to not only blend with the landscape, but, eventually, to disintegrate into it. When did you design and build your atelier? 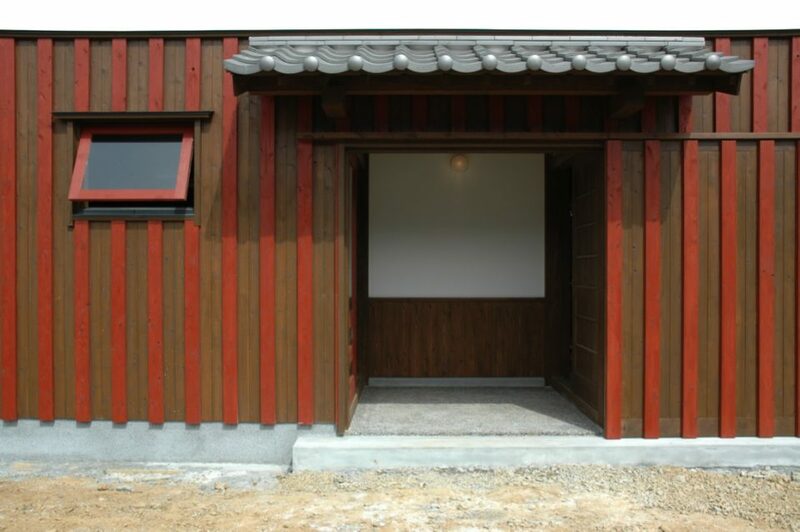 The atelier was finished in April 2006, and we had bought the land three years earlier. 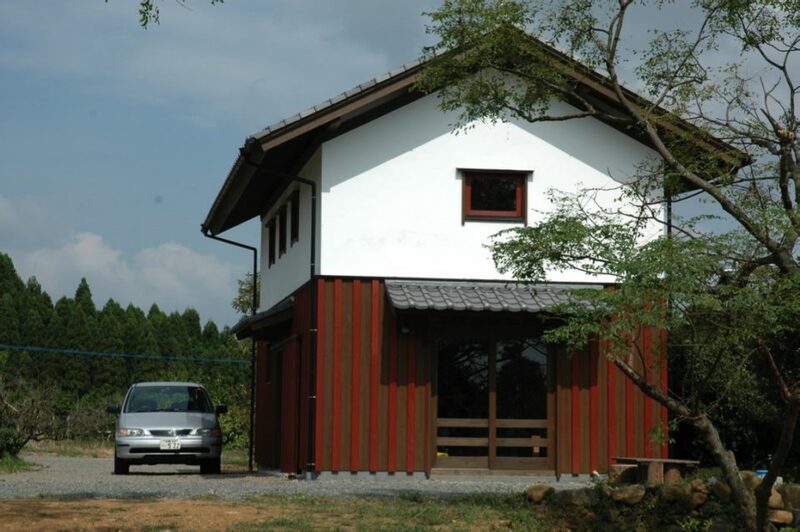 We both had strong childhood memories of traditional Japanese farm houses, and my wife's family home. In these homes, you are guided inside through the "doma" [a dirt floor anteroom]. 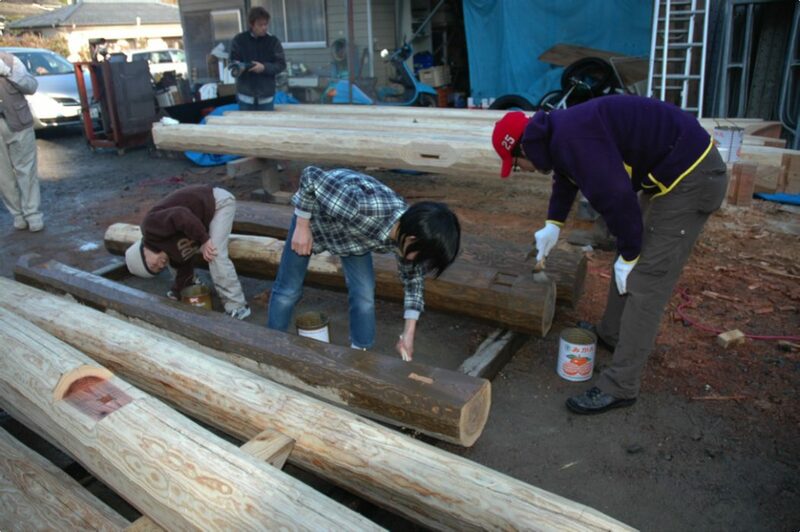 Also, we had renovated the historic Kakiemon kiln in Arita, where we experienced traditional methods of construction: of using wood and building joints without any metal fixtures/fittings at all. All these ideas and memories influenced the construction of the atelier. I also believed that while it's only small scale, I wanted to employ a builder who has worked with these techniques to build it. The idea is that when the building disintegrates, the materials we have selected will return to nature. Your own atelier is made to disintegrate into the landscape one day. Tell me why this is important to you and what materials and construction methods you have used to achieve it. The idea is that when the building disintegrates, the materials we have selected will return to nature. To that end, the materials we have selected are locally available. The main structure is of Japanese cedar; the foundation is Japanese cypress; the joinery is a mix of chestnut, camphor, and other species. In the entry areas and windows, we treated the cedar from the mill ourselves. 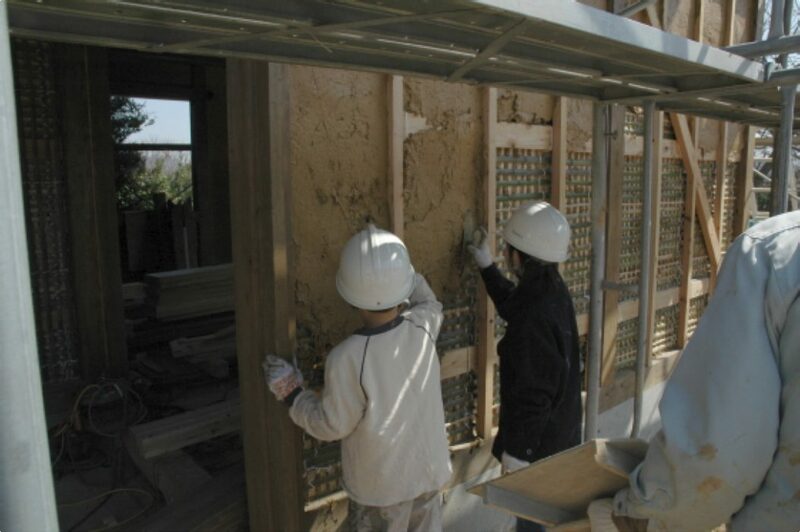 For the walls we used wattle-and-daub with bamboo — walls that you coat and harden using earth. Apart from that, we used a thick 36mm earth layer under the tiled roof, that acts as insulation from sound, heat and cold, and provides moisture protection. The ceiling is completely covered in earth, so that in summer it's cool, and if we heat it in winter, the warmth is retained. We also designed this with the idea that it would blend in with the nearby village-scape from the moment it was completed. Unlike new architecture, which generally shines bright and clean on completion, we hope that over the years the atelier will gain texture and be infused with character. Unlike new architecture, which generally shines bright and clean on completion, we hope that over the years the atelier will gain texture and be infused with character. The barbecue is a feature. Tell me the story behind it. Both my wife and I are especially inspired by connecting with people from all different jobs. I think the BBQ is one way for us to do this in a very relaxed way. Your atelier is organised on two levels and is divided into two spaces downstairs — tell me how you use the different spaces. 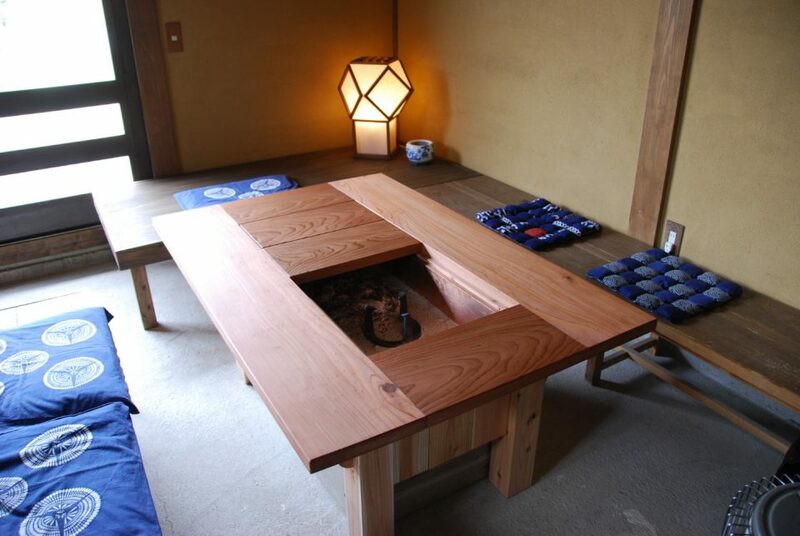 The first floor has a built-in sink and an irori [central sunken fire-pit], and it's a doma space where carpenters and plasterers can come and have meetings and leave their shoes on. Sometimes we've used this space for parties to entertain people from all sorts of jobs, which is nice and relaxing. The whole space is divided into four main rooms: with spaces for meetings on the first level, and on the second floor studio, and a private relaxation space, and a media room. The tansu is very beautiful - can you tell me more about it and about your collection of old furniture? In the spirit of mottainai, it's important to us not to waste resources. We follow this principle in our buildings themselves, and also chat with our clients about the stories behind their furniture and objects. Things like the tansu are full of family memories — you can't buy that. Sometimes we have the opportunity to take care of old tansu when renovating buildings. My wife takes on every item, even when they're in terrible condition. Then we attempt to re-use them. How important is the setting and positioning of the atelier in terms of sun, wind, light and the contours of the mountainside? Before we decided on this site, my wife and I looked around the surrounding areas a lot. 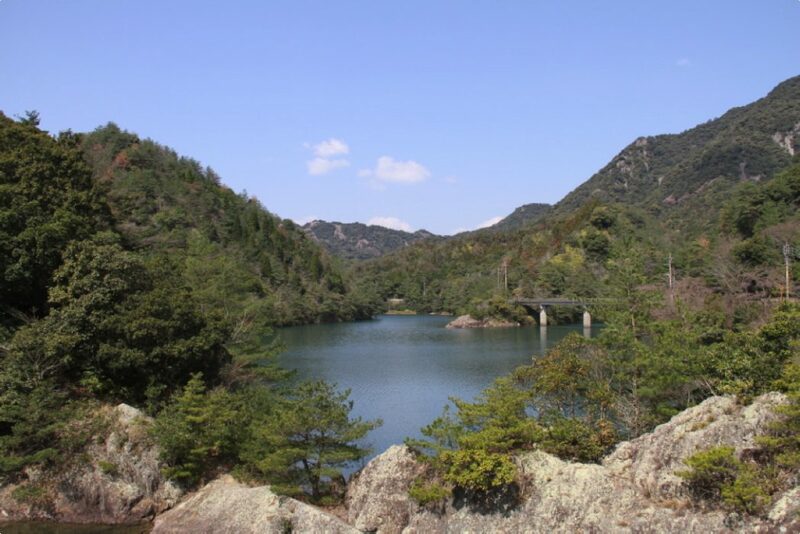 We decided on here because it has beautiful scenery: on the eastern side is the Kurokami mountain range, and on the western side, the Kunimi foothills. 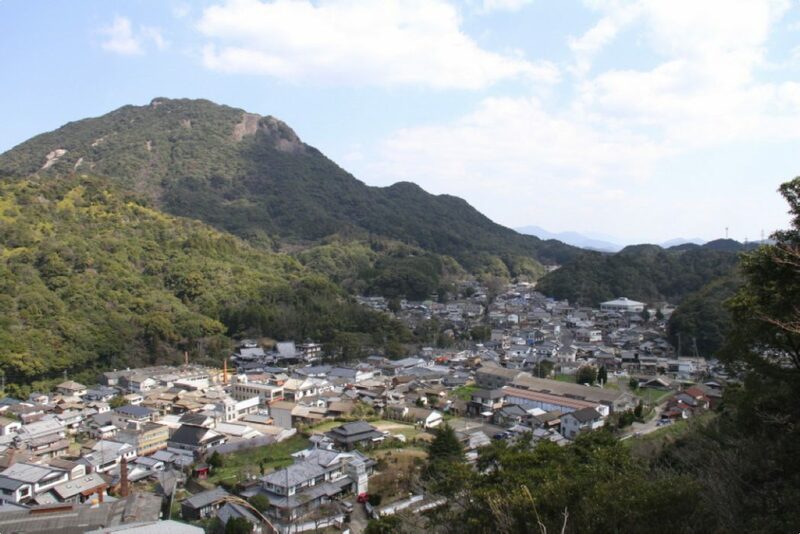 We also liked the view of Arita town from just a short walk to the west. Also the air and the water is fresh, and the food we can grow in this fertile ground is delicious. This place has many of the important elements. 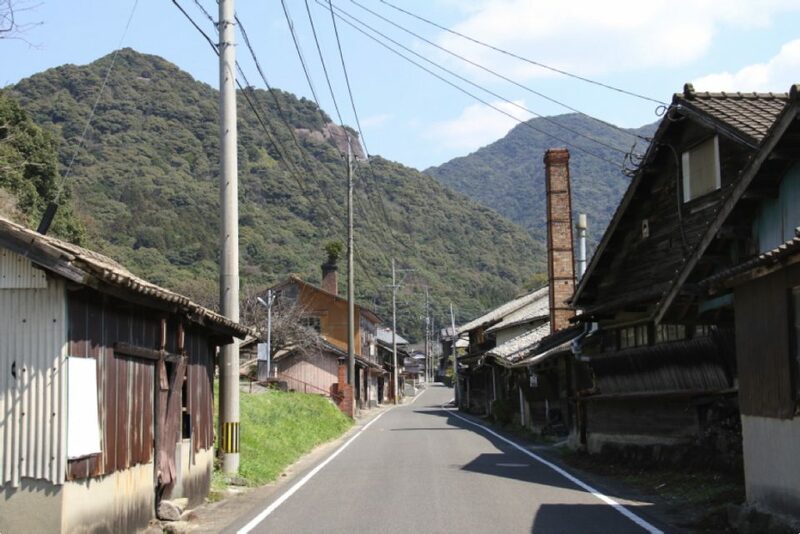 You have made a project of mapping all the old houses in Arita - what is your plan with this and how is it developing? The mapping was done by my wife Taeko, who as part of her work as a committee member of the Arita Scenery Commission of Enquiry, noticed that Arita did not have a leaflet guide. She called for volunteers to help, and put it together. 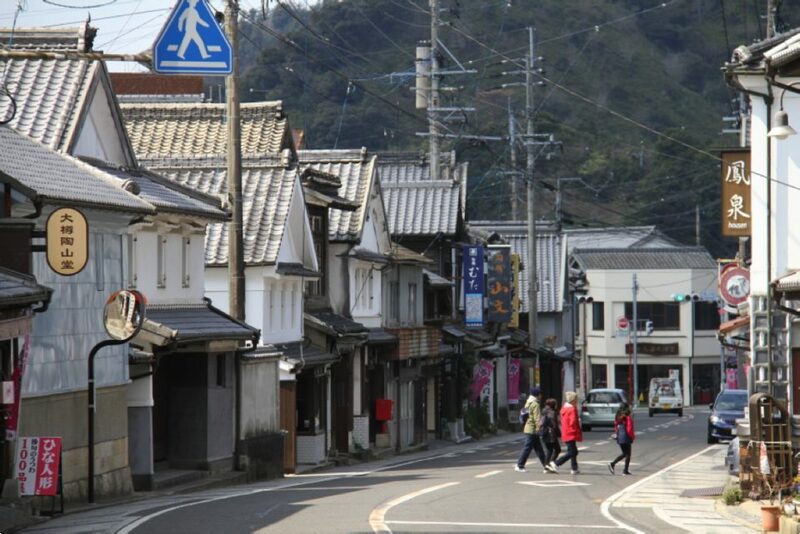 Arita has not only an important ceramics heritage, but also a great number of historic streetscapes are preserved from 400 years ago. We hope that with this map in their hand, more people can enjoy a leisurely exploration of Arita, and experience a special side to the town. Have you always worked in Arita? I was born in Imari in 1958. After graduating from university, I worked for a number of construction companies, and design offices. 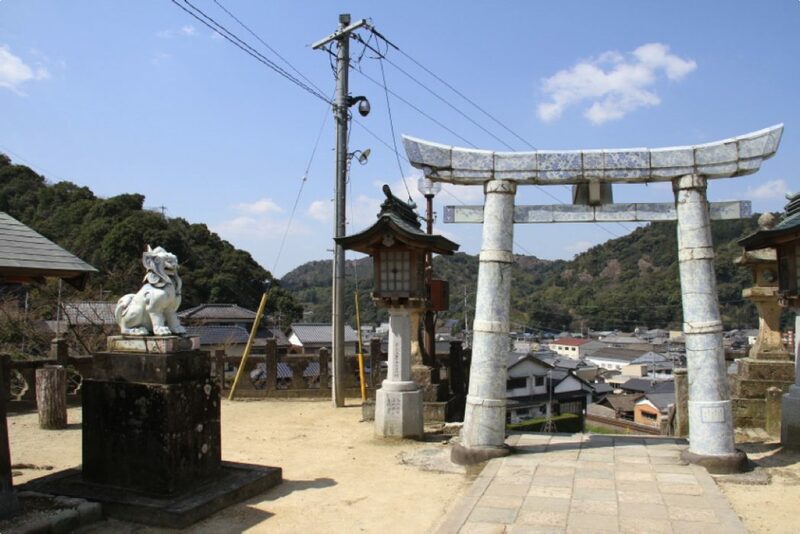 Then, when I was living in Fukuoka, I returned to my hometown Imari, according to my father's wishes. I then found a design job in the town next door of Arita, where I worked for over three years. Then in 1987 I set up my own practice. Why did you study architecture ? When I was in high school I dreamed of becoming an archeologist. But I chose to build new things instead of excavating old things. So I went into the architecture department of the engineering school at uni. Who are your architecture heroes? When I was young I aspired to Yoshida Isoya and Murano Dogo and so on. Overseas architects I liked were Alvar Aalto, Le Corbousier and the like. Recently I was able to visit the Nagasaki residence of Ikeda Takekuni, and I feel that we share a similar philosophy. May I say that perhaps my partner Taeko is also a hero to me (haha).